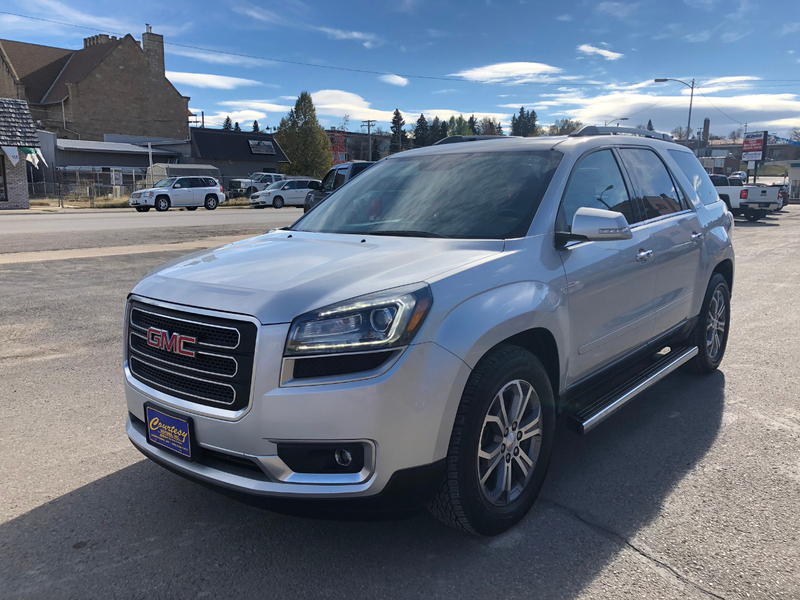 Used 2016 GMC Acadia SLT-1 AWD for Sale in Lewistown MT 59457 Courtesy Motors Inc.
Low miles and a clean Car Fax on this 2016 GMC Acadia SLT AWD! And it's loaded with all the power goodies. Great mileage, AWD, tons of features, comfort, and security all in one package. Don't miss out on this 2016 GMC Acadia SLT AWD!